Gregg Allman, co-founder of the Allman Brothers Band, has postponed his summer book tour due to heart issues. Gregg Allman had a liver transplant because of Hepatitis C at the Mayo Clinic in 2010 and has recovered steadily since, but he has had to cancel performances since the surgery because of unforeseen complications. 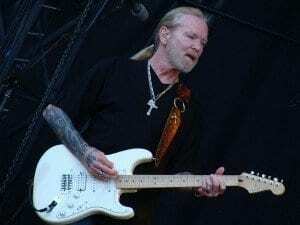 Gregg Allman is set to undergo tests at the same clinic today for his heart. If he gets a clear from the doctors, Gregg Allman plans to start his book tour on May 8 and wants to hit the road with the Allman Brothers. I just want to mention I’m new to blogging and absolutely liked this website. Likely I’m going to bookmark your blog post . You actually come with awesome posts. Appreciate it for sharing your website.